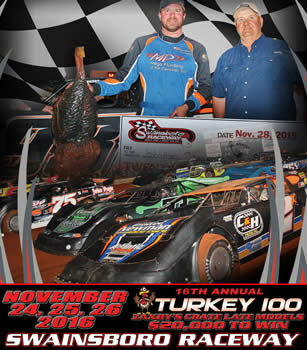 Swainsboro Raceway Crank It Up 100! 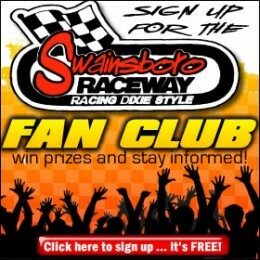 By admin Comments Off on Swainsboro Raceway Crank It Up 100! 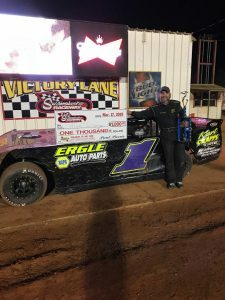 Over 90 cars rolled into Swainsboro Raceway Saturday night for the season opener and annual Crank it up 100. Drivers and fans were excited for the first race of the 2018 season. In the 602 Crate Late Model Sportsman division, Austin Scarboro took an early lead as Joey May moved into third. Lap two, Terry Lumley took over third off two. Lap four, Tyler Sanders tried the inside of Scarboro off two, Scarboro held on to maintain the lead off four. Five to go, Sanders tried Scarboro again for the lead. Four to go, Canaan Cranford took over fourth from Joey May. Caution with one to go allowed Brandon Carpenter to take advantage and move into the fourth position. 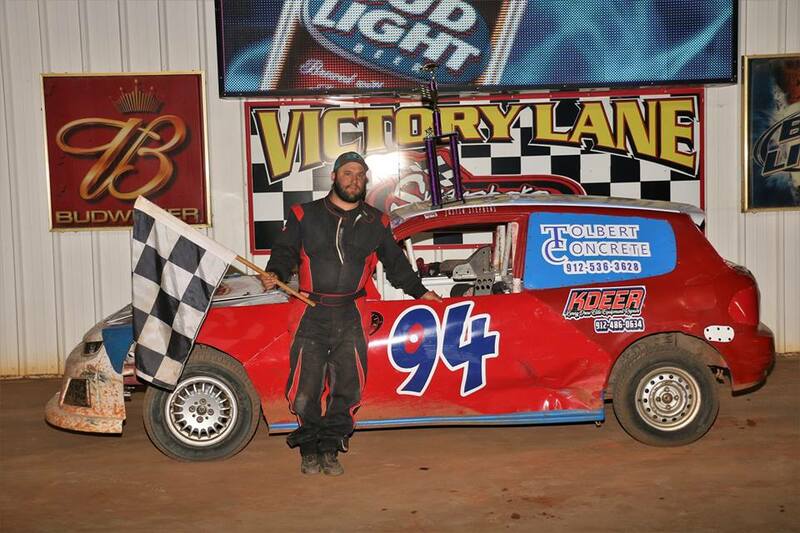 Defending points champion Austin Scarboro led flag to flag to take the first checkered of the season. Tyler Sanders took home second, Terry Lumley third, Brandon Carpenter fourth, and Canaan Cranford fifth. In the Sunoco Super Street division, Monk Gulledge jumped out front with Tommy Clinard in second. Lap three defending points champion Andy Stewart on the move, took over second. Making a hard charge for first Stewart night ended early on lap five with mechanical problems. Clinard regained second and Brent Herndon moved into third. Monk Gulledge checked out to take nearly a 3 second win over Tommy Clinard in second place, Brent Herndon third, Jimmy Maness fourth, and Russell Peterson finished out the top five. 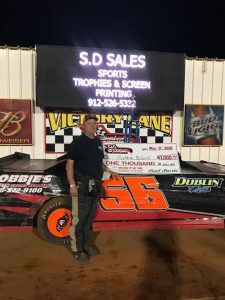 Eighteen drivers qualified in the Zaxby’s Crate Late Model division to compete for $2000 to win with Joseph Brown earning the fastest time. Taking the green for the 30 lap feature event, Joshua Bishop starting outside took the lead with Chesley Dixon in second. Caution on lap two sent the field back to double file restart with Bishop out front. Brown took over second from Dixon. Lap three, Jimmy Sharpe Jr moved in on Dixon for third as Bishop pulls away with the lead. Lap six, Cody Overton and Shannon Graham battled for sixth. Lap seven, Brown felt the heat as Sharpe tried for second. After a caution, on the restart, Sharpe took over second. Lap eight, Jimmy Thomas and Brown battled door to door for third. Halfway, Sharpe closes in on Bishop for the lead. Sharpe began making ground in the turns bit over drove off two bringing out the caution. On the restart, Jimmy Thomas was forced to pit running fourth. Cody Overton moved into the third position. 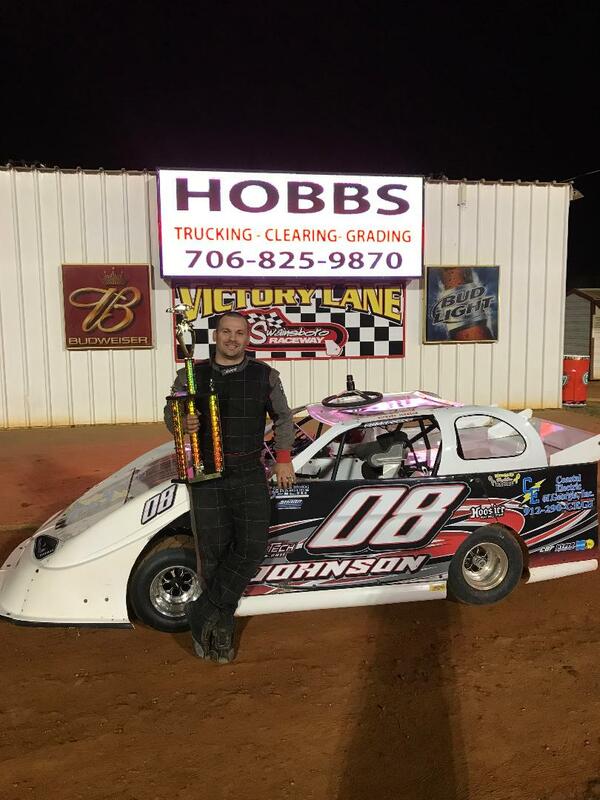 Joshua Bishop dominated the night taking the checkered and kicking off 2018 season with a win, Joseph Brown earned second, Cody Overton third, Chesley Dixon fourth, and Shannon Graham picked up a top five. Up next, Robbie Bland took the lead in the Roger Wheeler Construction Road Warrior division as Avery Peacock moved into second and Graham Stevenson third. Lap two, Stevenson took over second. Lap three, Stevenson brought out caution and Jaime Foskey moved into the top three. On the restart, Foskey moved into the second position but Avery made the pass back. Lap five, Chris Linn took over the fifth position. Halfway, Avery Peacock was forced to pit in second and Linn moved into the fourth position. Two to go, Linn brought out the caution ending his top five finish. 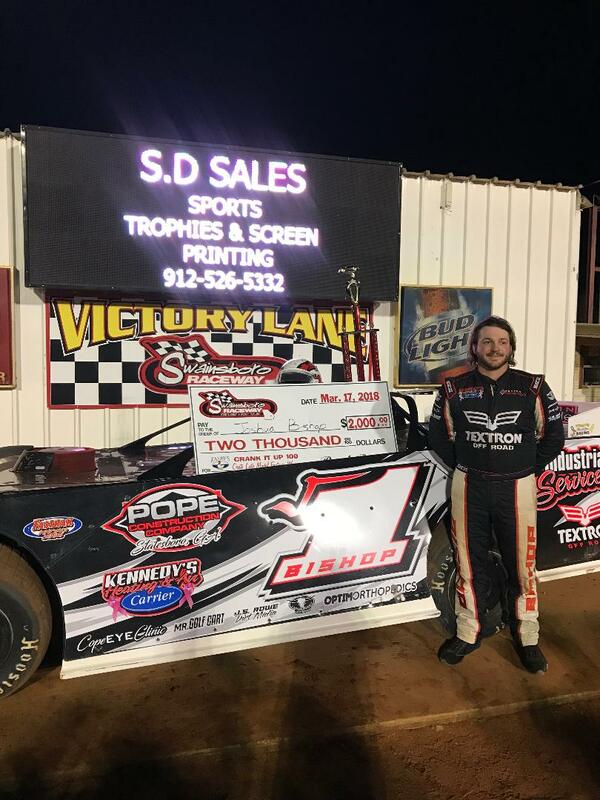 Robbie Bland took his first checkered for the season, Jaime Foskey second, Dalton Poole third, Ridge McCoy fourth, and Matt Davis fifth. In the Daniels Chevrolet Pure Stock division, Andy Stewart and Kip Poole took the green side by side. Stewart took over first in turn one with Poole under his rear bumper. Poole tries Stewart for the lead but Stewart takes over off turn four. David Ussery moved into the fourth position and closes in on Dustin Watkins for third. Lap five, Poole gets loose off turn four and Watkins makes the pass for second. Andy Stewart holds a big lead as the battle for second continues. Ussery breaks in on the action trying Poole for the third position. Four to go, Jason Floyd moves into the fourth position. Andy Stewart takes the checkered, Dustin Watkins second, Kip Poole third, Jason Floyd fourth, and Roger McKenzie finished out the top five. 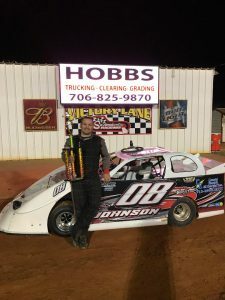 Weighing just over 900lbs running over 80mph, the Sharp Mini Late Model drivers took the green with Richard Johnson taking the lead off turn two and Mike Wolfe moving in second off four. Johnson pulls away with the lead as the field spreads out. Lap six, Wolfe breaks running second. Five to go, Johnson leads the way with Brad Amerson and Matt Wise behind. Two two go, Wise takes over second. 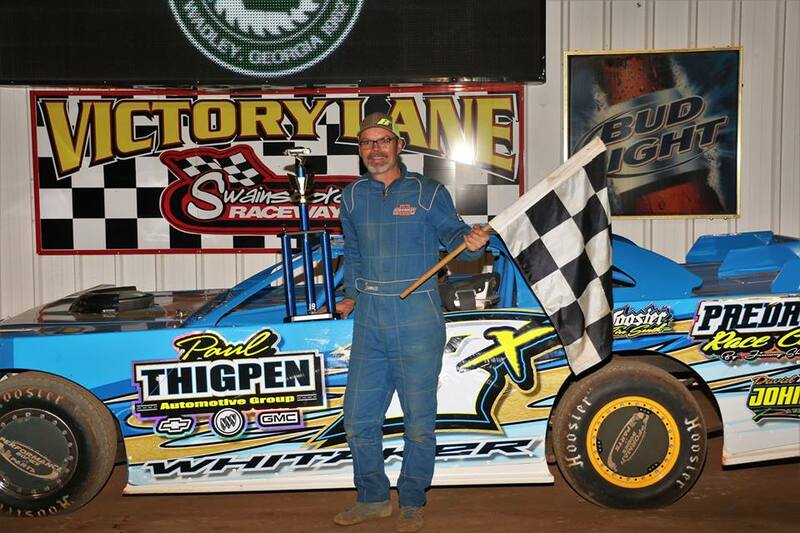 Richard Johnson grabbed the win, Matt Wise second, Brad Amerson third, Tim Gerdmann fourth, and Gavin Cowan fifth. Ending the night in the Scare House of the South 440 division, Rod Morris leads off turn two. 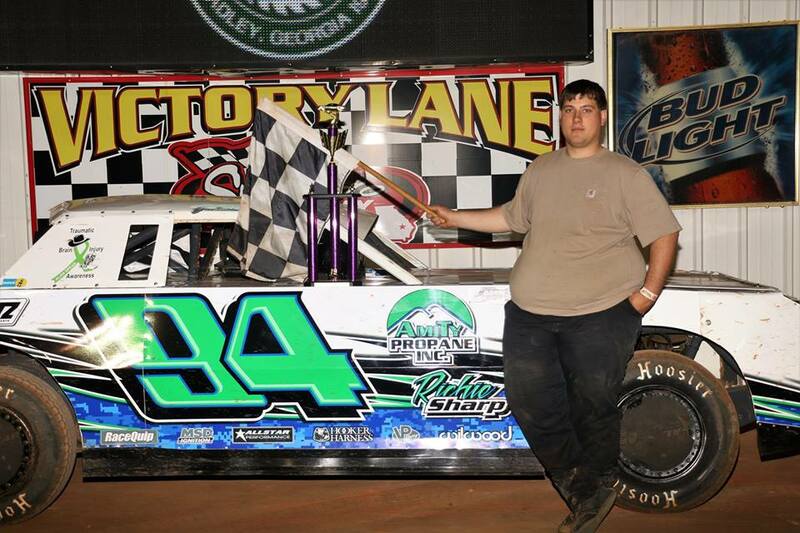 In his first race at Swainsboro Raceway, Jeff Birge takes the lead off four. Lap two, Morris finds the groove and regains the lead. Tyler Davis on a mission moving through the field takes over second and becomes in hot pursuit of Morris for the lead. Two laps to go, Davis closed the gap on Morris trying both lanes to make the pass. Coming to the checkered, Rod Morris holds off Tyler Davis for the first win of the season. 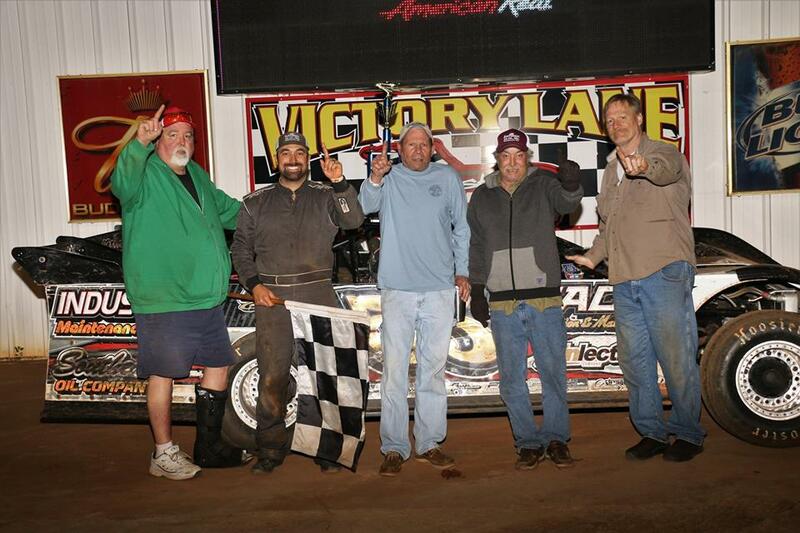 Finishing out the top five Daniel Rogers took third, Jeff Birge fourth, and Randy Bird fifth. For the first points race of the season at Swainsboro Kart Track, over 80 karts registered to compete. In the Red Plate division Joe Brett Sullivan took the win, Tyler McCumbers second, and Trey Oliver third. For the Green Plate Light division, Jake Brown took the checkered, Brayden Upshaw second, and Tucker Baird third. Jake Brown picked up a double feature taking the win in the Green Plate Heavy division with Brayden Upshaw second, and Brayden Drawdy third. 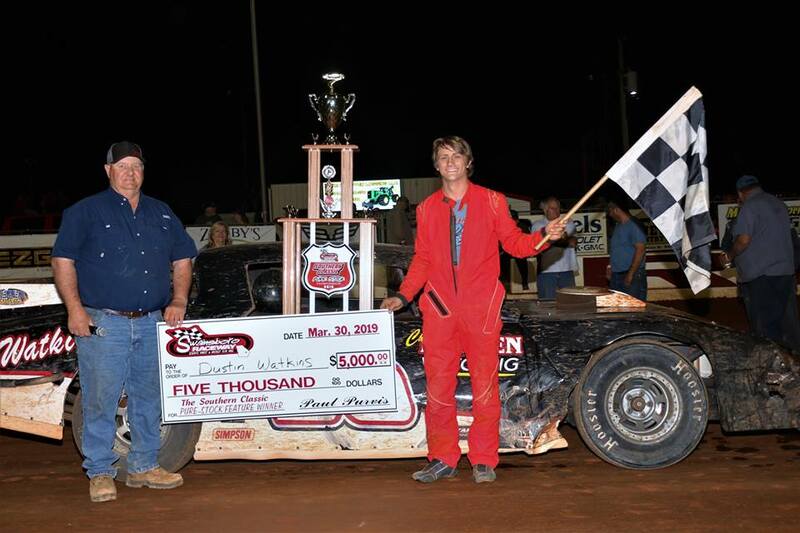 In Blue Plate Kamren Boyd celebrated in Victory Lane, Mark Dudley second, and Marley Meeks third. In Pro Blue, Kamren Boyd picked up another win, Marley Meeks second, and Mark Dudley third. Predator 350, Brandon Green took the win, Joe Martin second, Johnny Martin third. 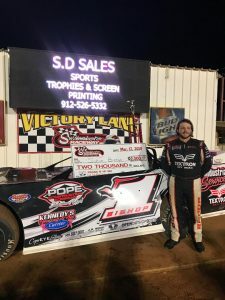 In Predator 375, after post race inspection, Cole Reddish was declared the winner, Brandon Into second, and Blake Green third. Justin Diekemper took the win in the Clone T3 350 division, Brandon Meeks second, and Joseph Diekemper third. Picking up another win, Justin Diekemper took the checkered, Ryan Adams second, and BJ Wood third. 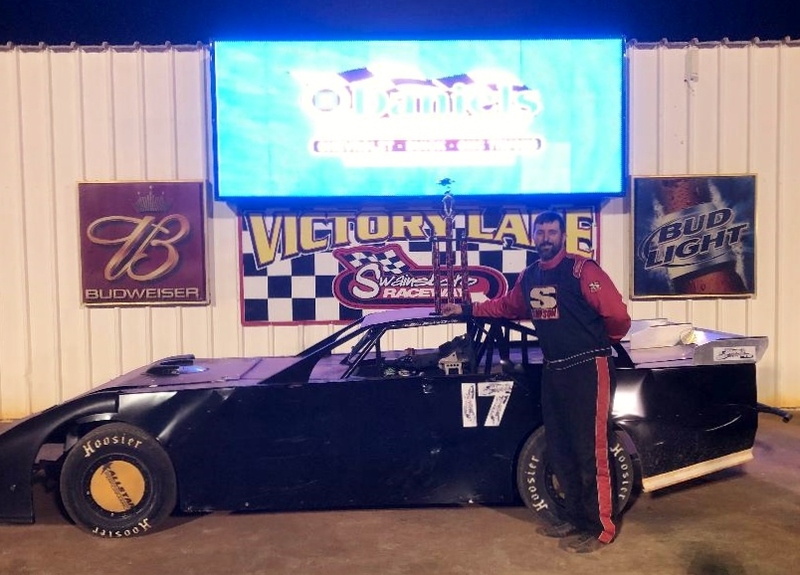 Three wins for the night Justin Diekemper took home the Clone EL 350 division, brother Joseph Diekemper second, and Daren Akridge third. Clone El 375 Joseph Diekemper beat out brother Justin Diekemper for the win and Dusty Godbee grabbed third. Ending the night in the Clone Super Heavy 425, Rodney Marcus took the win and Daniel Roland second.